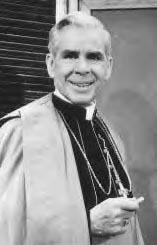 Fulton Sheen was a media sensation. He was a profound speaker, an excellent Bible and Catholic teacher. Now you can listen to his talks over the internet — free. Click here and enjoy! I am reading his book Three to get married. It is a very good book so far! Previous post: Grandkids are the best!